Probably the most controversial part of PEP 8 is the limit of 80 characters per line. Well, is actually 79 chars, but I’ll use 80 chars because is a round number and the way everybody referes to it. There are a lot of companies where the standard seems to be “PEP8, except for the 80 chars line restriction”. On GitHub projects, which in general follow PEP8 (it seems to be a very strong consensus), that’s typically not found. In explicit code guidelines, the restriction could be increased (100, 120) or even removed at all. The usual reason for that is stating that we are not programming in VT100 terminals any more, and we have big, high-resolution screens. This is true, but I’ve found that that limitation, combined with the use of whitespace in Python, makes the code much more compact and readable. It seems that, naturally, Python code tends to occupy around 35-60 characters (without indentation). Longer lines than that are much less frequent. Having suddenly a line much longer than the rest feels strange and somehow ugly. Also, having the mandatory indentation whitespace increase the line width is a good visual way of minimising the nested loops in your code and suggesting, in a subtle way, to refactor anything that is indented more than about four times.
''' Search the files matching the pattern. In the first code, there is some scrolling, but even when presented in without scroll, the code looks uglier, as it does not look visually balanced. The second code seems nicer to me and I can read it easier. Another important part is that I can display more code in the same space. There are tons of time that you need to keep an eye to different parts of the code, in the same file or in a different one. My favourite way of doing that is displaying them side-by-side in columns. Having a limit of 80 chars on the whole file, that gets nicely rendered and I don’t have to worry about lines displayed not being lines in code or configure editors. I al so makes that if I open vim for a quick fix on a terminal, I don’t have to worry much about the size. I can focus on the code. There is still room for one more column! In case of indented code, the ‘bare minimum’ of calling a model function could leave you with very few available space… I still apply the same principes, and try my best to render the code in a way that in clear and readable, but it’s more difficult that with other Python code. So, even if the initial intention probably has little to do with all those things, I really feel that this limitation helps me writing more readable and compact code. I am sort of a “readability” integrist, in the way that I feel that readability in the code is the most important consideration by default, and should be keeping in mind at all times. What do you think? Do you like the 80 chars limitation? UPDATE: There is some discussion on Hacker News, in case you want to check there. UPDATE: After a comment, I’ve released my colour scheme in GitHub. In case anyone is interested, here it is. It’s called “Jaime” just because I already had that as the name of the file. I have been just wondering why code editors cannot implement smart line wrapping? After all, this is not 80s and pico anymore and we have RAM and CPU power to do a simple heurestic line wrap. Doing manual wraps sounds kind of stupid, because line wrapping is just a simple task computer can do and we are freaking programming those computers to work for us. Another possibility is waiting until you write and then fix the lines, or when finishing a function/paragraph. There are several tools that can help with that (like autopep8), but you’re right that it seems not to be an option out-of-the-box. May be it was not about automated changes in your code but about displaying code with different line breaks than real, like “word wrap” in notepad-like editors but respecting syntax. So someone can write code with 120 characters limit and somebody other can read it with 80 characters limit. That’s a very interesting idea. Some sort of “syntax reformat”. But I’m not sure if that will be practical, as there should be one “canonical” way for the code. I guess that in practice implementing it in a safe and convenient way can be extremely difficult. ugh really. This is like the segway of editor features. Its a solution in search of a problem. If you are streaming off the edge of the abyss on your 4th level of nested list comprehension its probably time to re-evaluate what you are doing. Obviously my example is ugly, but you get the concept. PEP8 actually recommends using line continuations instead of backslashes at the ends of lines. It’s less fragile and much more pleasing to the eye. I have Sublime Text set up to show a vertical ruled line at column 80, but have word wrapping itself turned off. I use this as a guide – I try and keep all lines under this width, but if they occasionally go over it’s a flag to refactor that line later. I suppose I think of it as another linting step. I wholeheartedly agree with you Jaime. In the beginning I used to create horribly long lines of code but after a few months of writing Python – I saw the error of my ways and while I still have a long way to go, I definitely now write lines with <= 80 characters per line. This makes my code much easier to read and grasp, plus it forces the code to be concise and to tackle problems in a laser guided fashion rather than "let me throw as much code at this as I can". This is fantastic, thanks for writing! I just do this with long queries http://paste.ubuntu.com/5646538/ Much more readable “filter by line” thing. Mmmm, interesting, I’ve never though that you could make that trick. I’ll keep it in mind. Thanks! >It seems that, naturally, Python code tends to occupy around 35-60 characters (without indentation). Thats completely irrelevant for a language that requires indentation to work, specially when one insists in using multiple hard-coded spaces for each indentation level. It doesn’t matter if you use tabs or spaces, they both use space on the screen, which is what’s relevant for readability. Except for Python, I normally have used tabs and set them to display at 2 spaces. Because of Python, I have tried to migrate to 4 space characters per indentation in other languages as a matter of conforming to others’ standards, but it is a nuisance, especially if I have to indent below a line which itself requires continuations to fit on the screen. Yes, I use that. Well, a variation, to show that as an error, but it’s the same idea. Well, I am not arguing from when / where that limitation came (I know it was from IBM punched cards, by the way). I am just saying that it sort of make sense, as I feel it makes the code readable. It is also the same idea behind books and newspapers displaying the text in columns. I’m sorry. My complaint was mainly directed at the choice of exact numbers in PEP 8, I suspect, and I wanted to emphasise that these numbers really are a second or third derivative from obsolete technology (card punches for 80, or line printers for 132 columns), and thus an arbitrarily odd choice for a 21st century programming standard. I agree that very long lines of code can be harder to read, as you say. At which font size ? Which screen resolution ? How many Pixels per Inch ? I use Menlo 11 points in an iMac 27” (that’s 2560×1440, 94 ppi), but I find also comfortable to use the same setting on a Macbook Pro. Yes, as I stated, the long names in Django makes difficult to keep lines to 80 chars without looking weird. Yes, I stick religiously to 80 char limit for ALL programming languages I do. Shorter lines encourage writing code with lower cyclomatic complexity, overall more readable code, and the point of larger screen is not to start writing lines 360 chars wide (which is what I can do on my 30” screen), but to be able to open 4 files side by side. You could add a big reason for using multiple windows: Doing a 3-way merge. If you ever tried doing a clean merge with code which has 200-character lines, you’ll know to avoid long lines. Let’s say is Vim in disguise! I disabled the 80 char warning in my emacs (checked via Flymake), because having red-marked lines hurts, and there are sometimes reasons to break the 80 char rule. 80 chars are important, but readability is not a single-parameter function. Yup, I personally do like the 80 chars limitation and try to write code that conforms. Django’s models.py is an exception, just like you noted, but generally lines of code should be way shorter. Hail the 80 chars rule! Their source code display is in a width limited box and it’s a pain there to have to scroll sideways. ^Setting textwidth in vim will auto wrap the line when you exceed 79 chars. Combined with autoindent, I find it works quite well. Does it matter ? It’s an old question but which seems definitivly unsolved, as if reading was neither desirable nor usefull. Few years ago I published a small tool for nice code listing [for C, PyThon and VHDL – URL below] with cross references. I still use it before travelling when some bugs still bother me : I take a pen, a rubber and a source listing. A different atmosphere, a small constrained place where I can only move my eyes and my fingers, and I see my source code very differently. 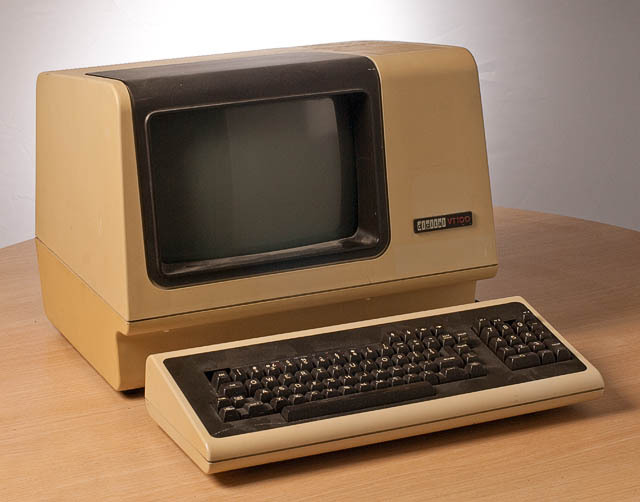 Back in the ’80s I worked on a helped test out a system that limited the software writer to one screen for each procedure, which was probably less than 80 characters and no more than 25 high. I love the 80 (79) character line, exactly for the same reason you mentioned… displaying more code. but yes this kind of code add numbers to the lines.. then is our decision to where to wrap to make it readable!!!! 80 characters per line was fine when the language limited variable names to a max of 8 characters, and object-oriented programming wasn’t invented, yet. My biggest reason for limiting the length of lines is that I occasionally print code on pages that I tape together so that I can fully see and manually diagram code for better understanding, and this always works better with shorter lines. Couldn’t agree more with this post. I argue these exact same points quite often. The only real push back I get is with long strings of text (e.g. error messages, end user descriptions, etc). I usually just throw these in parens and use the line continuation. If I need to make a big edit, just use the power of the editor to splice and dice. I think a distinction is useful between ‘real’ code and embedded prose, string literals etc. Excessive line length caused by too much code indentation definitely shouts ‘refactor me’ – and something less than 80 characters would be useful here. Perhaps this all just means that such string literals shouldn’t be in code in the first place. I agree that we need a limit, but in my experience 80 characters is often too limiting and sometimes causes wraps that make the code *less readable* instead of more readable. I use a vim colorcolumn at 80 characters as a soft limit, but the hard limit for my projects is at 100 (or 99, to be exact). This has proven to be a nice guideline to write readable code, versus the 80 hardlimit that forces you to write short code (which sometimes is less readable than a clean & clear line with 90 characters). Shorter lines are easier to read.